Diesel gensets have become major power source for building modern infrastructures. Further, these are heavily deployed to provide prime, back-up and peak power across the globe. GCC being one of the fastest growing regions of the world is utilized gensets to power their infrastructure. Also, availability of huge oil reserves in the region makes it key strategic area of various international genset players. Saudi Arabia accounts for major portion of the diesel genset market in GCC region owing to increasing construction activities, rising retail & hospitality sectors and surging investments to strive new business opportunities in the country. According to 6Wresearch, Saudi Arabia diesel genset market is projected to grow at a CAGR of 13.55% during 2015-21. Changing government policies, establishment of IT/ITeS sector and automotive manufacturing expansion, and growth in public infrastructure is fueling the market for diesel genset in Saudi Arabia. During the forecast period, amongst all the applications, utilities, oil & gas, construction and industrial applications dominated the market, where major growth is exhibited in the construction and industrial application. The key players in Saudi Arabia diesel genset market include- Saudi Diesel Equipment, Kirloskar, Atlas Copco, Caterpillar, Cummins and Himoinsa. The report thoroughly covers the market by genset types, by KVA ratings, applications and regions. The report provides the unbiased and detailed analysis of the on-going trends, opportunities/high growth areas, market drivers which would help the stakeholders to device and align their market strategies according to the current and future market dynamics. • Historical Data of GCC Diesel Genset Market Revenue for the Period 2010-2014. •	Market Size & Forecast of GCC Diesel Genset Market Revenue until 2021. •	Historical Data of Saudi Arabia Diesel Genset Market Revenue by KVA Rating for the Period 2010-2014. •	Market Size & Forecast of Saudi Arabia Diesel Genset Market Revenue by KVA Rating until 2021. •	Historical Data of Saudi Arabia Diesel Genset Market Volume by KVA Rating for the Period 2010-2014. •	Market Size & Forecast of Saudi Arabia Diesel Genset Market Volume by KVA Rating until 2021. •	Historical Data of Saudi Arabia Diesel Genset Market Revenue by Application for the Period 2010-2014. 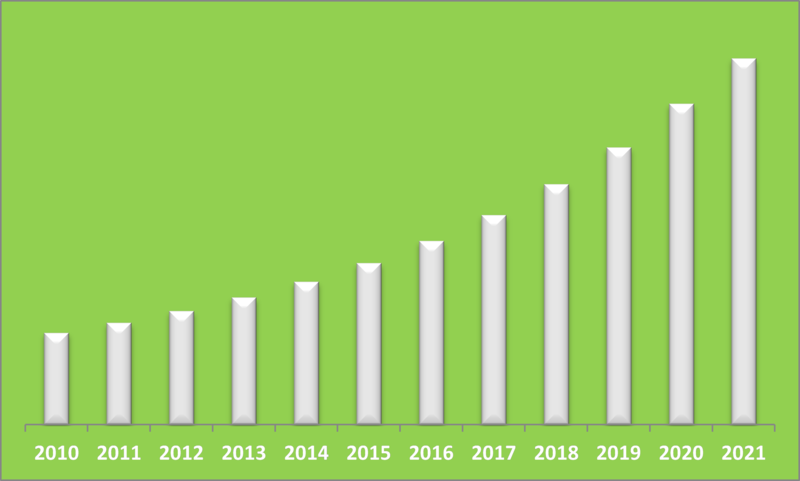 •	Market Size & Forecast of Saudi Arabia Diesel Genset Market Revenue by Application until 2021. •	Market Size & Forecast of Saudi Arabia Diesel Genset Market Revenue by KVA Ratings by Application until 2021. •	Historical Data of Saudi Arabia Diesel genset Market Revenue by Regions for the Period 2010-2014. •	Market Size & Forecast of Saudi Arabia Diesel genset Market Revenue by Regions until 2021. 17.1	Saudi Diesel Equipment Co., Ltd.
17.3	Atlas Copco Ab-A Shs. 17.6	Himoinsa Power Systems Inc.
Saudi Arabia is amongst the top 20 largest economies in the world as per GDP. The oil and gas sector has captured major share in Saudi Arabia's economy. Although, government is taking necessary measures to diversify its economy, where tourism sector is expected to play vital role. More than 11 million pilgrims visit Saudi Arabia yearly, which is boosting hospitality sector. According to Saudi Commission for Tourism and Antiquities, in the next two years about 214 new hotels would be built and around $38 billion is anticipated to be invested by 2020 to boost overall hotel industry. In Saudi Arabia's diesel genset market, gensets with small and medium ratings have captured major revenue share of market pie. Deployment across various applications has resulted for their market dominance. With the growth of tourism industry, infrastructure developments in areas such as retail, hospitality, road, rail, transportation and airport can be witnessed in the country. Upcoming Riyadh Metro project would further boost the demand for diesel gensets in the forecast period.